Knowledge regarding user browsing behavior on corporate Intranet may shed light on general behavioral principles of users in Intranet spaces, and assist organizations in making more informed decisions involving management, design, and use policies of Intranet resources. The study examines extraction and analysis of knowledge worker browsing behavior from WEB log data. Extraction of navigational primitives enabled us to identify common behavioral features of knowledge workers. 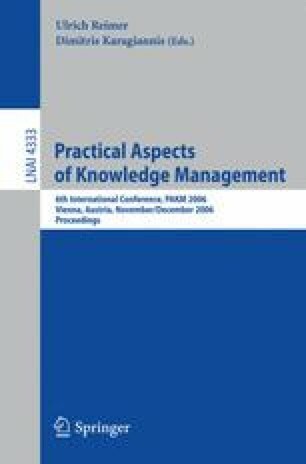 Knowledge workers had a significant tendency to form behavioral patterns that were frequently repeated in Intranet environment. As they familiarized with the environment their navigation habituated.